Family law is usually state-specific, but more and more often family law practitioners encounter problems on a global scale. From parents relocating across the country for work or online relationships bringing people from different countries together, international issues intersect with family law every day. As an attorney, it's important for you to understand these issues so you can best serve your clients. Learn more with this webinar on-demand. Where Family Law and International Issues Collide: Relocation and Child Abduction Issues — is just $107. 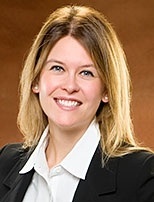 Rebecca McKelvey Castañeda is an attorney in the Nashville Office of Stites and Harbison. She practices primarily in the field of domestic relations, assisting with divorce, child custody, adoption, relocation, child support, and Hague Convention international child abduction cases. Rebecca serves on the board of directors for the Tennessee Justice Center, served as a member of the Belmont University Young Alumni Council for three years and now serves as a member of Belmont University Alumni Board of Directors (past president) as well as volunteers in the Nashville community. Rebecca was awarded the Tennessee Bar Association's Harris Gilbert Pro Bono Volunteer of the Year Award (2015). In June 2011, she was chosen as a 2011 Nashville's Top 30 Under 30 by the Cystic Fibrosis Foundation. As an attorney, it's important for you to understand these issues so you can best serve your clients. Learn more with this advice-rich webinar on-demand. Attorney Rebecca McKelvey Castañeda will highlight areas of family law where international issues could arise and will focus on relocations and child abductions. She will talk in detail about the 1980 Hague Convention on the Civil Aspects of International Child Abduction, which the U.S. has signed along with about 73 other countries. She will also touch on the logistics of two-country parenting plans, and what details or protections should be considered by the attorney. This is one family law update you can't afford to miss!